Students enrolled in a Norfolk State University public relations course have decided to host an HIV/AIDS awareness panel discussion in honor of Project Choices’ ibook release. The event will take place on the campus of Norfolk State University in the Student Center, room 138B from 2:30 until 4:00 p.m. The student body will be able to receive accurate answers to questions they may have about HIV/AIDS in minorities as well as learn about the Project Choice ibook which includes vital information on this topic. “Let’s Talk About It: Red Ribbon Edition” panel discussion will give NSU students a chance to anonymously ask experts from Project Choice, Access AIDS, and NSU Center for Minorities questions about the topic of HIV/AIDS in minorities in addition to receiving information in handouts. There will also be a guest speaker in attendance who will share their experience of living with AIDS. “African Americans are the highest race with HIV/AIDS; mainly because it isn’t discussed in the household,” says doctoral student Tiphanie Bivens. This event is expected to have a minimum of 50 people in attendance. The sponsors of the panel discussion hope to not only reach students, but faculty as well in regards to knowing how to bring up the topic to their loved ones since it is rarely talked about in households. 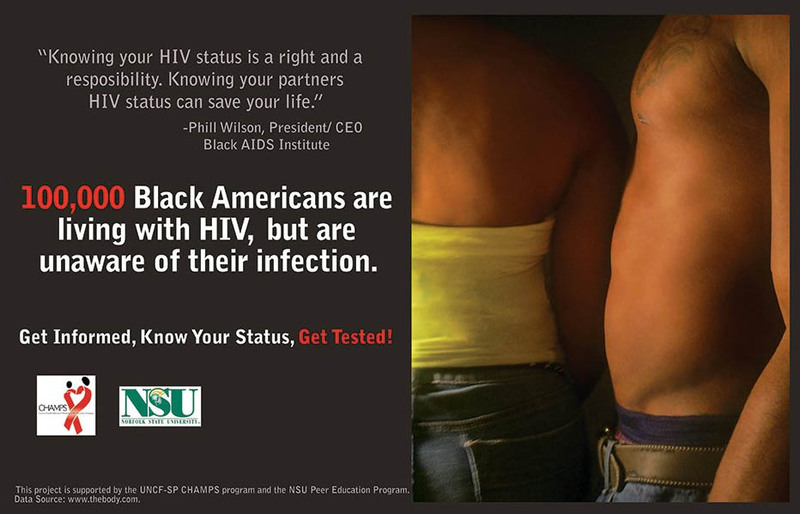 According to the Center of Disease Control and Prevention (CDC) studies show Blacks/African Americans account for a higher proportion of new HIV diagnoses, those living with HIV, and those ever diagnosed with AIDS, compared to other races/ethnicities. In 2015, African Americans accounted for 45% of HIV diagnoses, though they comprise 12% of the US population. Tags: African-American, Aids, awareness, black, hiv, Norfolk State, NSU, PR, public relations. Bookmark the permalink.